One of Pacific Northwest Ballet's most appealing dancers is principal dancer Jonathan Porretta. Anyone who has attended PNB on a regular basis has a favorite Porretta moment (mine will probably always be is his frolicsome Puck). 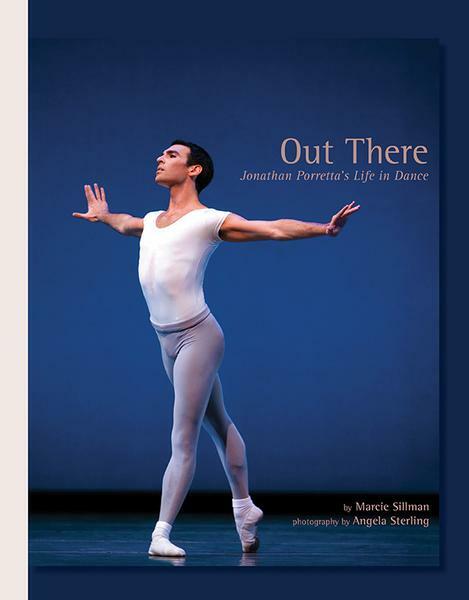 Award-winning arts journalist and KUOW personality Marcie Sillman chronicled Porretta's story in a Out There: Jonathan Porretta’s Life in Dance. 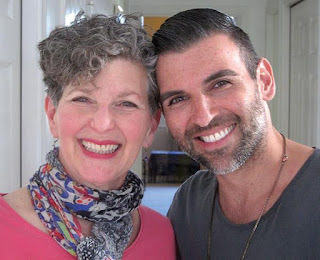 Through interviews done with the dancer while he was healing from a foot surgery, Sillman encouraged him to talk about his own favorite roles as well as his early experiences in dance. The book’s major message—“Be yourself and people will love you for who you are”— was important to Porretta, who discusses growing up gay and often bullied in his small hometown. Publisher and designer Rosie Gaynor met Sillman during an NEA fellowship at the American Dance Festival. The pair had long been talking about doing a longer piece about Porretta's performances, more than just articles for Dance magazine or the local press. "We found out that Jonathan had something he had been wanting to say for a long time. A message to kids especially, but also adults, about life: how it can be hurt to be different, but how being yourself is key," wrote Gaynor in her introduction. "That seemed a great idea for a book." Family snapshots will be new to Porretta's fans while the dance photography by PNB chronicler Angela Sterling will spark many memories as they show key moments in Porretta’s career thus far. Following Sillman's essay, Porretta talks about his 10 favorite roles, which includes fun recollections like the time that he met Michael York and Julie Andrews following his appearance as Puck in "Balanchine's Midsummer Night Dream" at the Hollywood Bowl. Not surprisingly, the 34-minute marathon of "State of Darkness" sticks in Porretta's head as both incredibly scary and an "adrenaline high." Through it all, Porretta's naturally sunny nature comes shining through. There's no major complaints, no pity parties even though injuries sidelined him for several months at the time this book was being written. There's just a love of dance and the sense of joy that his fans feel every time he appears on stage. Out There is available at Amusements Gift Shop in McCaw Hall and online.